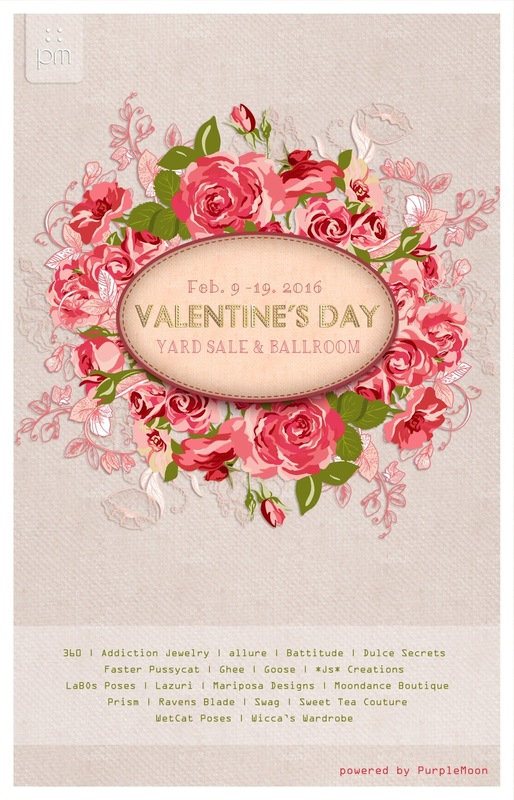 Valentine's Day Yard Sale | ! *PurpleMoon Creations* ! Time to drop prices and thank our customers with a fun sale! 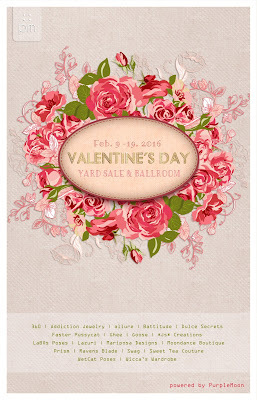 PurpleMoon is hosting a Valentine's Day Yard Sale and has invited many fantastic brands to be part of it. We have asked them to offer a discount on their products and they have been SO generous! Items range from 25 to 50% OFF! Explore our Winter Garden Area and the Green House that has become a romantic ballroom. Bring your loved ones and enjoy the beautiful items and some gifts spread around.